When a caregiver fails or omits to give a child the necessary supervision, care, and services needed to maintain the child’s mental and physical health. This includes, but is not limited to, nutrition, food, shelter, supervision, clothing, medical treatment, and medicine that a practical person would consider necessary for the well-being of the child. A caregiver fails to take reasonable steps to prevent a child from being abused, neglected, or exploited by someone else. Neglect of a child in Florida is considered a felony. If the abuse or neglect does not cause any bodily harm or cause any disfigurement or disability, it’s a third-degree felony and the penalties include up to five years of probation or five years in prison, and a fine of up to $5,000. If there is great bodily harm, it becomes a second-degree felony with penalties of up to 15 years of probation or 15 years in prison and up to a $10,000 fine. To win a conviction, the Florida prosecutor will need to prove child neglect beyond a reasonable doubt. In addition to meeting the definition of child neglect as defined by the statute, the child in question must be under 18 years old. It’s important to note that any conviction for child neglect could also have a negative impact on parental rights, including loss of custody. There was a reasonable effort by the defendant to protect the child. It’s unfortunate, but there are some people who place fake reports of child neglect just to cause problems in someone’s life who they do not like. It could be neighbors who are battling, or someone who doesn’t agree with parenting styles or how you educate your child. This is where the valid use of a defense is really important. If you’ve been accused of child neglect, you can be facing criminal charges and ultimately lose custody of your children. 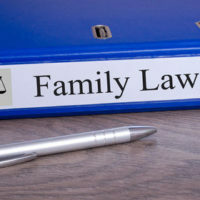 It’s important to speak with a skilled Florida family law attorney to see what steps you need to take. Contact the Law Offices of Schwartz | White at 561-391-9943 to schedule a consultation.